An indictment was filed Sunday with the Jerusalem Magistrates Court against Sur Baher resident Mohammed Abu Kaf on eight counts of incitement to violence and terror attacks. According to the indictment, Channel 10 reported, Abu Kaf, 21, posted on his Facebook page in October several direct calls to violence and terror against Israeli civilians and security forces. Moreover, he posted a video inciting viewers to carry out stabbings and car-ramming attacks. 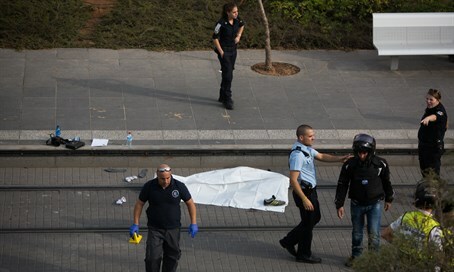 In the clip, a masked terrorist stabs a man in an IDF uniform. A caption underneath reads, in both Hebrew and Arabic, "You will die, leave our land [...} we are messengers of hell for you sons of Zion." The video also portrays an attack on an Israeli military base, in which terrorists throw firebombs, simulated stabbing attacks against policemen in Jerusalem, as well as a young man burning several Israeli flags. During the clip, a song in Arabic plays, featuring such lyrics as: "Stab the Zionist and silence the hands of the settler, let knives scream, let them settle in the chest, let them stab well, do not be afraid and you will burn your enemies in fire." According to the indictment, given the content of the video and incendiary posts, there is sufficient reason to believe Abu Kaf would soon carry out a terror attack against Israelis. The indictment comes amid new efforts by Israel's Foreign Ministry and security establishment to both monitor and take action against online incitement.